The roof protects us from the harsh weather conditions. Whether it is a shiny day or a rainy night, we feel safe and secure inside the walls of our home because of the strong roof over our heads. While most people take regular care of other parts of the home, roofs are often neglected. Generally, the roofs are attended to when they start showing signs of problems. We seem to forget that with regular maintenance and care, roofs can stay strong for longer periods. Roof cleaning Sydney is one of the most important processes in roof maintenance. A clean roof not only adds to the beauty of the property but also adds to its value. Roof cleaning requires specialized skills and knowledge. Hence, trained restoration experts are best suited to carry it out. As an experienced roof restoration service provider, we offer you the best solutions for cleaning your roofs. The best way to ensure your roof stays clean and strong is by opting for roof cleaning services at least once a year. A regular roof cleaning schedule would make your roof cleaner, stronger and long-lasting. Why bother cleaning the roof, as it will be exposed to the weather and dirt from the next moment of cleaning – some may ask. Roof cleaning is beneficial in the long run because it brings back the lost glory and shines to your roof. For instance, even a small patch of algae stain could ruin the beauty of your roof. Furthermore, a roof covered with leaves and other particles could eventually lead to clogged drains. Roof cleaning is recommended to eliminate this and other such damaging factors. Since roof cleaning is a specialized task, it is crucial to get it done by a professional service provider. Different kinds of roof require a different process of cleaning. The roof cleaning methods and materials vary according to the condition, shape as well as the materials used for roofing. 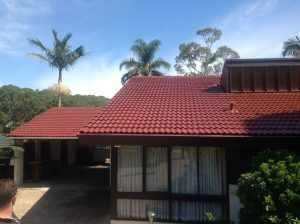 High-pressure cleaning techniques are suitable for roofs made of clay, concrete tiles, slates, asbestos or metal roofing sheets. However, this method is unsuitable for cleaning shingles. An expert roof cleaning service would be able to assess the needs and type of the roof. A solution is arrived at after considering all the factors like type of roof, age, materials used and so on. It also requires people who are skilled and qualified to work at heights and construction sites. Furthermore, they should know the right way to clean the roof. High pressure cleaning isn’t suitable for shingles and flat roofs. In such cases, we use approved chemicals to clean your roof. As we use the right chemical for your roof, it remains healthy and shiny for long. We might even go for scraping of the roof if required. 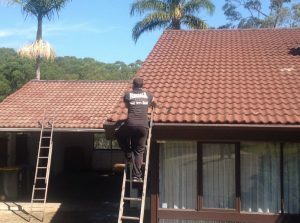 We offer reliable professional roof cleaning Sydney services. Our prices are affordable and we offer free inspection and quote. With more than 20 years of experience, we make your roof shining again with minimum disruption to your schedules. Call us on 1300 337 796 or 0405 229 765 to enjoy hassle-free roof cleaning.